BG Marine & Small Engines Inc. Built with the professional contractor in mind, we've enhanced our #1 best-selling single stage snowblower with a powerful Toro Premium engine, extended life paddles, heavy-duty drive belt, and more, so you can get the job done faster. Toro Premium Engine: Toro's commercial Power Clear snowblower features a 212cc Toro Premium 4-cycle, OHV engine giving you more power to complete tough jobs quickly. #1 Brand of Snowblowers used by Professional Contractors: Our best-selling snowblowers are strong enough to take on serious snow, yet easy for anyone to maneuver. Reflective Ergonomic Handle: Designed with an ergonomic handle for less fatigue and more control. The reflective decals offer increased visibility in low light situations. Extended Life Paddles: Designed to last over twice as long as Toro's standard paddles which means less downtime. Enhanced Handle: The handle has been reinforced with four bolts for maximum rigidity. Heavy-duty Drive Belt: Featuring a wider belt to transfer more torque and maximize life. Power Curve® Technology: This technology, with curved rotor and inverted funnel housing moves more snow in less time and virtually eliminates clogging. 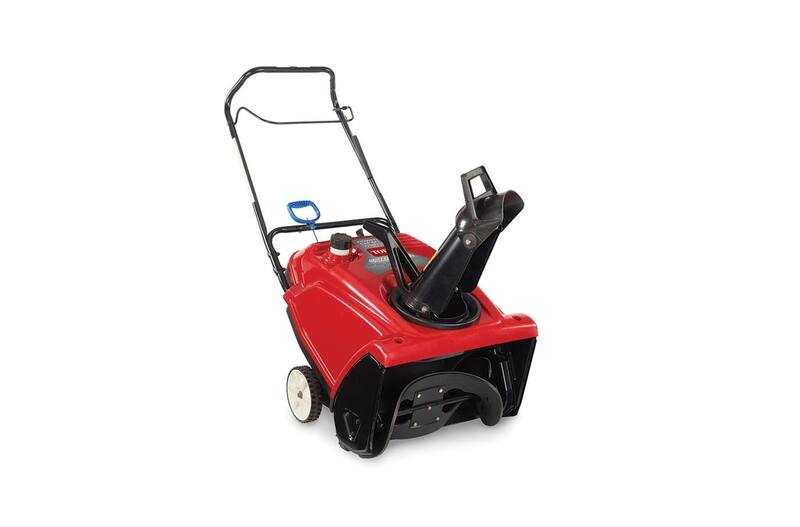 Wide rubber paddles propel the snowthrower forward while cleaning down to the pavement. 1 -Year Commercial Warranty: This product is covered by a one-year commercial warranty. See your dealer for warranty details.